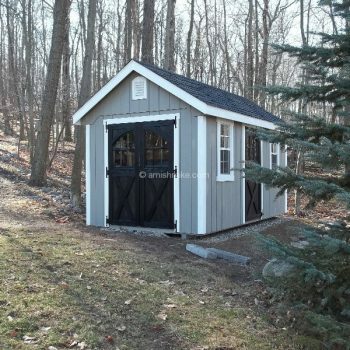 As with our Traditional Series sheds, the floors are built with pressure-treated 4×4 skids, 2×4 floor joists 16” on-center, and 5/8” exterior grade plywood. 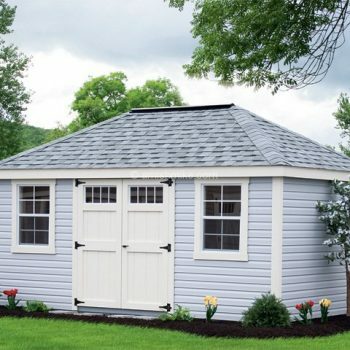 The walls and roofs are framed with grade “A” 2×4 studs 16” on-center. 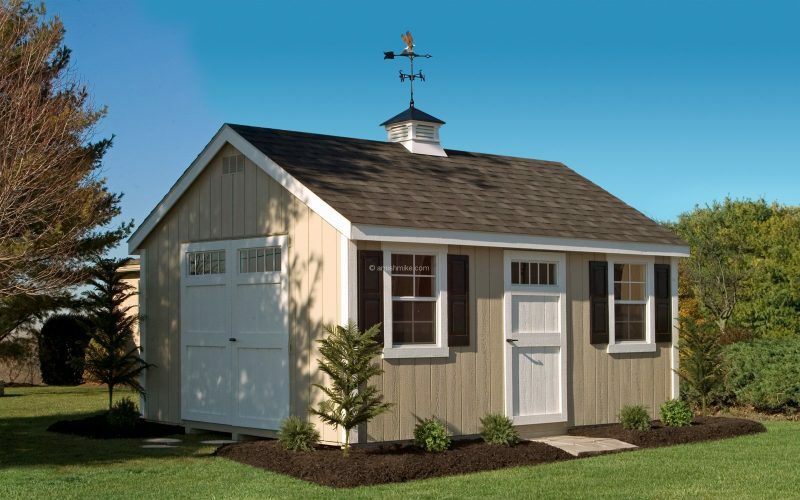 The roof rafters are covered with 1/2” plywood sheathing and 30-year architectural shingles. 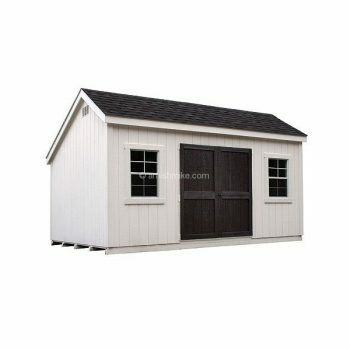 Heat shield is also available on the plywood roof sheathing. 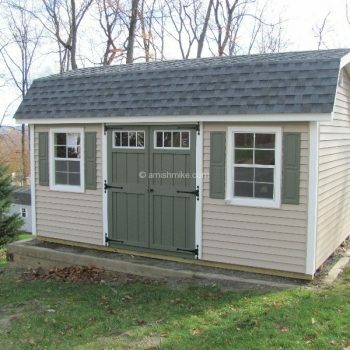 New England sheds have 1”x6” Miratec fascia boards with 6” to 9” overhangs. 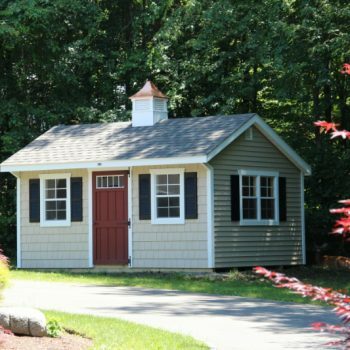 Most New England sheds include 18”x36” windows with choice of shutters or trim on the windows. 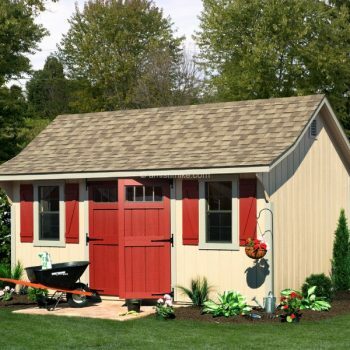 The deluxe doors can be painted a separate color from the shed. 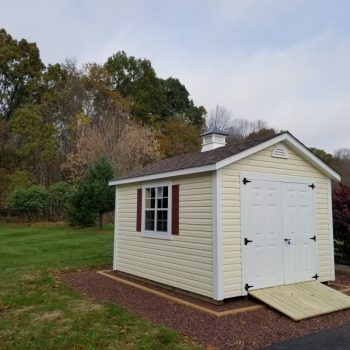 Amish Mike offers 2 specific shed models only available in the New England Series: the Elite and the Lincoln, each with specific features such as taller walls, larger windows and steeper roof pitches. 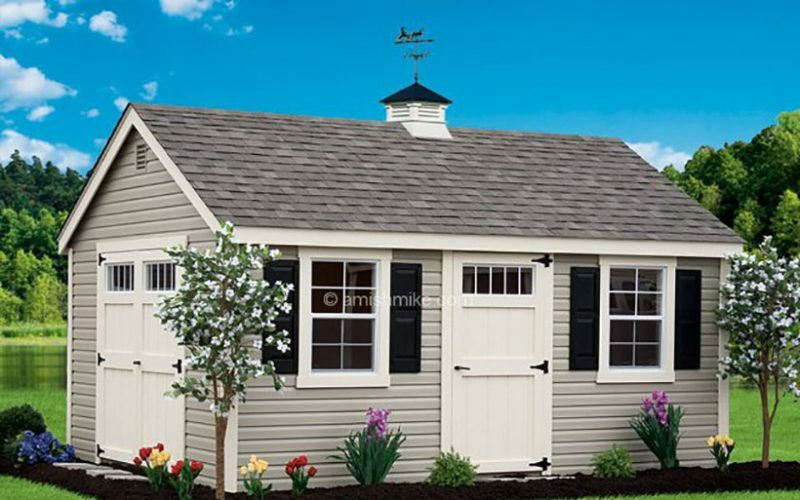 The Elite model shed has 7’ exterior wall structure and 8” roof pitch. 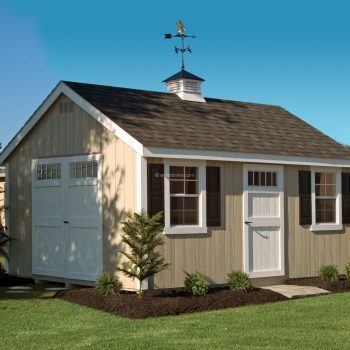 The Lincoln has 7’ 4” exterior wall structure and 11” pitch to the roof. The Lincoln also has 24”x36” windows. 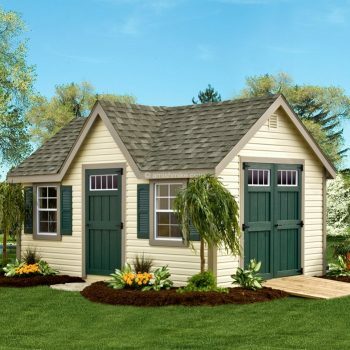 Due to the height of the Lincoln and the roof pitch, the roof has to be built on site.